High quality Early Childhood Education and Care (ECEC) is an essential foundation for all children’s successful lifelong learning, social integration, and later employability. Disparities in access to quality education and increasing segregation in schools start at a young age. The objective of TOY to Share Play to Care is to scale up and embed in policy the TOY for Inclusion approach - an effective means of creating community-based ECEC initiatives that improve access to ECEC for marginalized young children, their transition to formal education and the capacity of their parents and professionals. The project will directly benefit 1400 children and their families with special focus on children 0-6 years from migrant and ethnic minorities in Croatia, Hungary, Italy, Latvia, Slovakia and Slovenia and Turkey; 140 ECEC practitioners and 35 local, national and international policy makers. 3000 organisations will be reached through the project’s advocacy campaign. Over the past two years (2017-2018), the project TOY for Inclusion (co-funded by the European Commission-DG Justice ‘Rights Equality and Citizenship programme’ and the Open Society Foundations) has been piloting an innovative approach to inclusive non-formal early childhood education and care in 7 European countries (Belgium, Croatia, Hungary, Italy, Latvia, Slovakia and Slovenia). This approach, which is proving effective, improves the transition experience of Roma children to schools by offering an innovative response to discrimination of Roma communities by creating community based Early Childhood Education and Care (ECEC) initiatives in the form of Play Hubs (resource and meeting centres) and through connecting existing services and actors and providing new learning and play opportunities for young children. In the TOY for Inclusion approach, relationships between Roma and non-Roma young children and their families are built and interactions in safe play spaces across all generations are supported. 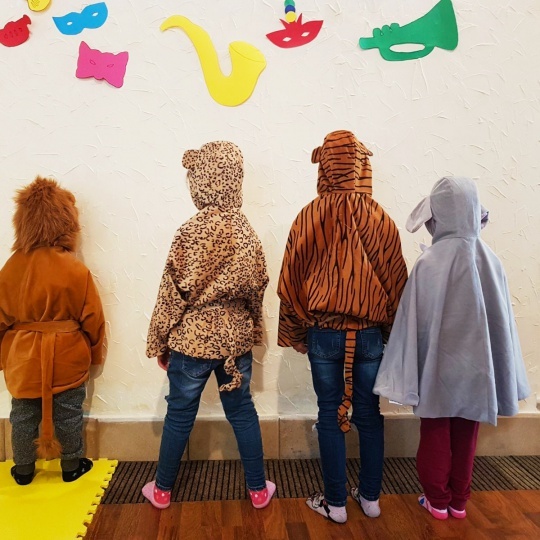 ECEC Play Hubs are located in areas that are reachable for both Roma and non-Roma families, and are designed and run by Local Action Teams (LAT) composed by representatives of both communities, school and preschool teachers and local authorities. Along with activities aimed to help children develop necessary skills and knowledge for formal education, these spaces mobilize local communities around young children and organize intergenerational activities involving older adults with and without Roma background. Activities can take place in the Hubs but also in other settings in the communities, such as community centres, libraries, parks, squares, preschools, health centres. The goal of the proposed project, titled ‘TOY to Share: Play to Care’ is to scale up the ‘TOY for Inclusion’ approach, broadening its target beneficiaries to include all hard to reach young children, such as those from migrant and ethnic minority backgrounds. These are the children who are currently least likely to have access to formal ECEC services and therefore, more likely to experience problems during the transition from home to school at age 6. Knowledge sharing and dissemination among local, national and international stakeholders and policy makers (campaign and general dissemination). Increased access of ‘harder to reach’ children and especially migrant and ethnic minority children (0-6) to inclusive and quality ECEC settings through the upscaling of the “TOY for Inclusion approach”. Increased knowledge and skills on how to implement effective community based inclusive ECEC services, amongst educators, leaders of educational institutions, practitioners of the health sector, carers and local policy makers. Inclusive and quality community-based ECEC services are embedded in local educational policies. • A set of products for the advocacy campaign: story post cards; pop museum; multi-lingual infographic, website with data base of resources; two international events and three events per country.